The London 2012 Olympics start today, and once again architecture is on the spotlight. With a big focus on reusable and adaptable structures, the lineup includes renowned architecture firms such as Wilkinson Eyre Architects, Hopkins Architects, Populous and Zaha Hadid Architects. 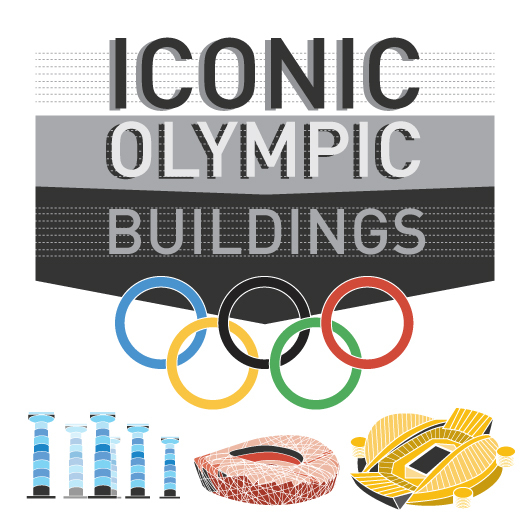 On this infographic we introduce you the iconic buildings of the Olympics since 776 B.C. until today! Follow London 2012 Olympics coverage in its dedicated page.